Big bluestem grass (Andropogon gerardii) is a warm season grass suited for arid climates. The grass was once widespread across North America prairies. Planting big bluestem has become an important part of erosion control on land that has been over grazed or farmed. It then provides shelter and forage for wildlife. 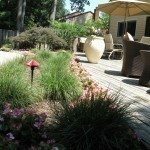 Growing big bluestem grass in the home landscape can accent a native flower garden or border the open property line. Big Bluestem grass is a solid stemmed grass, which sets it apart from most grass species that have hollow stems. It is a perennial grass that spreads by rhizomes and seed. The stems are flat and have a bluish coloring at the base of the plant. In July through October the grass sports 3 to 6 foot tall inflorescences that become three part seed heads that resemble turkey feet. The clumping grass assumes a reddish hue in fall when it dies back until it resumes growth in spring. This perennial grass is found in dry soil in prairies and arid zone woods across the southern United States. Bluestem grass is also part of the fertile tall grass prairies of the midwest. Big bluestem grass is hardy in USDA zones 4 to 9. Sandy to loamy soils are ideal for growing big bluestem grass. 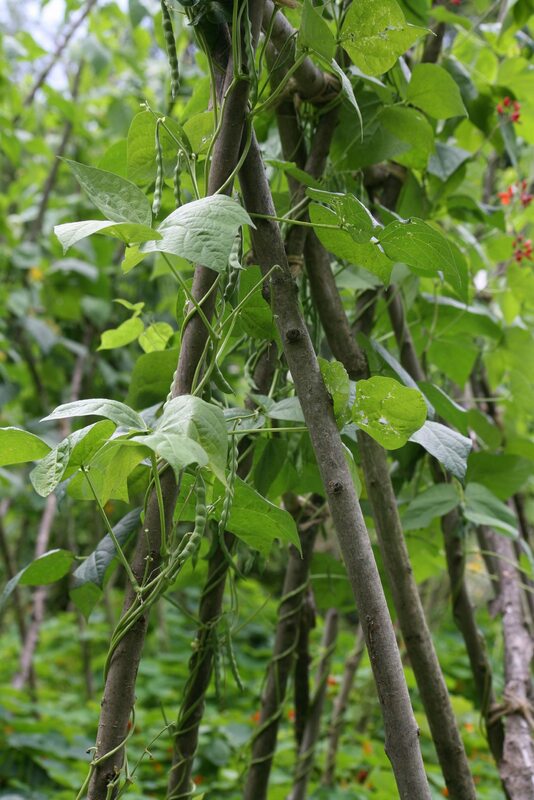 The plant is adaptable to either full sun or partial shade. Big bluestem has demonstrated that it may be invasive in some zones so it is a good idea to check with your county extension office before seeding the plant. The seed has improved germination if you stratify it for at least a month and it can then be planted inside or directly sown. Planting big bluestem grass may be done in late winter to early spring or when soils are workable. Sow big bluestem seed at ¼ to ½ inch deep. The sprouts will emerge in about four weeks if you irrigate consistently. Alternately, plant seed in plug trays in mid winter for transplant into the garden in spring. Big bluestem grass seed can be purchased or harvested right from the seed heads. Collect seed heads when they are dry in September to October. Place the seed heads in paper bags in a warm area to dry for two to four weeks. Big bluestem grass should be planted after winter’s worst has passed so you will need to store the seed. Store it for up to seven months in a jar with a tightly sealed lid in a dark room. There are improved strains developed for widespread pasture use and erosion control. ‘Bison’ was created for its cold tolerance and ability to grow in the northern climates. ‘El Dorado’ and ‘Earl’ are big bluestem grass for forage for wild animals. Growing big bluestem grass can also include ‘Kaw’, ‘Niagra’ and ‘ Roundtree’. These different cultivars are also used for game bird cover and to improve native planting sites. Read more articles about Big Bluestem Grass.